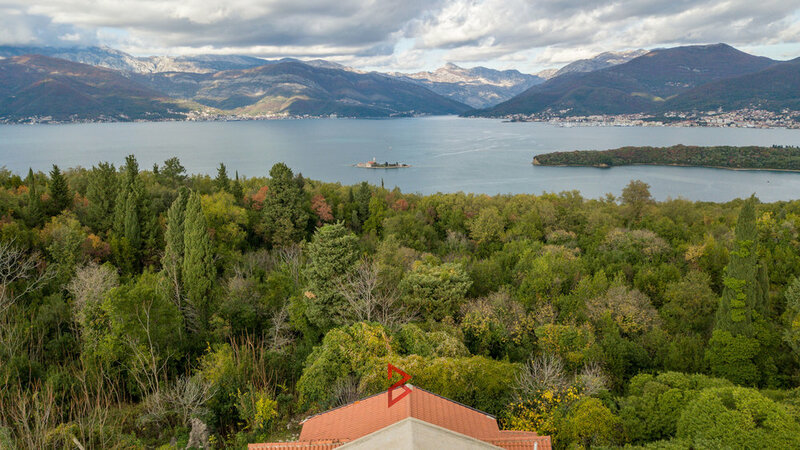 While cruising through the Boka Bay in search of an ideal location, the road can take you to Bogišići, a small place with optimal climate conditions and an exclusive surrounding devoted to only few hundred people. 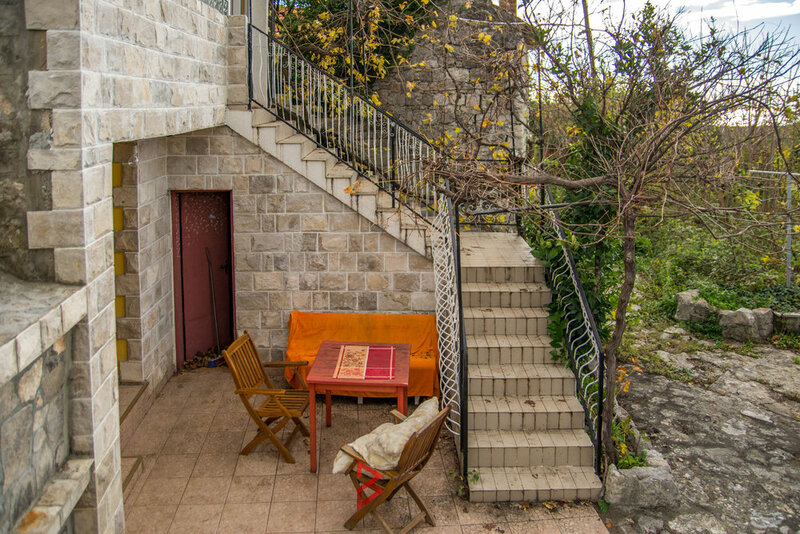 Being located in the municipality of Tivat, near the airport and the world famous luxury marina,while being hidden in the hinterland, this place provides you both with highly needed isolation and accessibility. In Bogišići it is not strange to come across the fairy tale landscapes, since it offers beautiful views of the bay and the Lustica area. In addition to the natural beauty, this place is famous for its cultural and historical monuments. 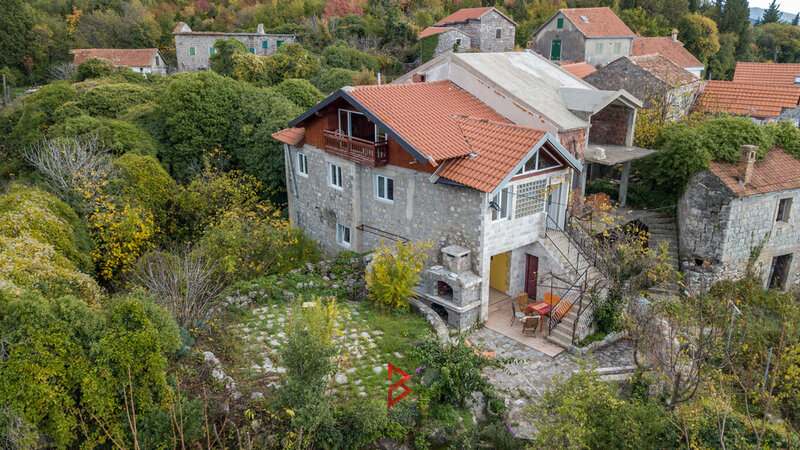 This renovated old house of 120m2 consists of ground floor, first floor and wooden furnished attic with magnificent view of the bay. 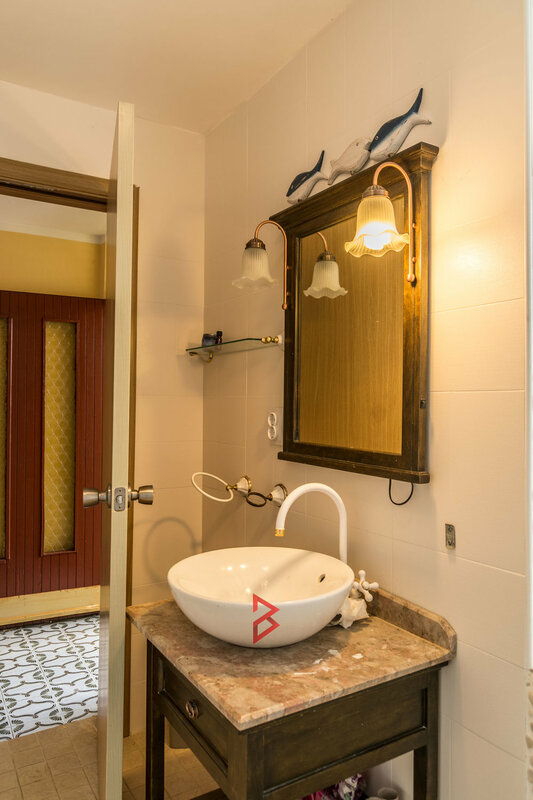 On the ground floor there is a living room, with a stone fireplace and a nicely equipped kitchen. 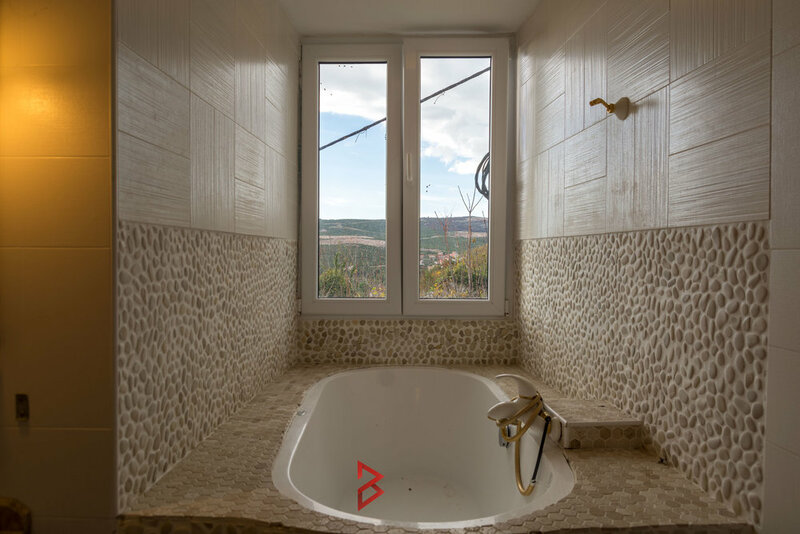 On the first floor there is a bathroom with a bathtub from which you have direct view of the sea and Luštica. On this floor there are also two smaller and one large bedroom. 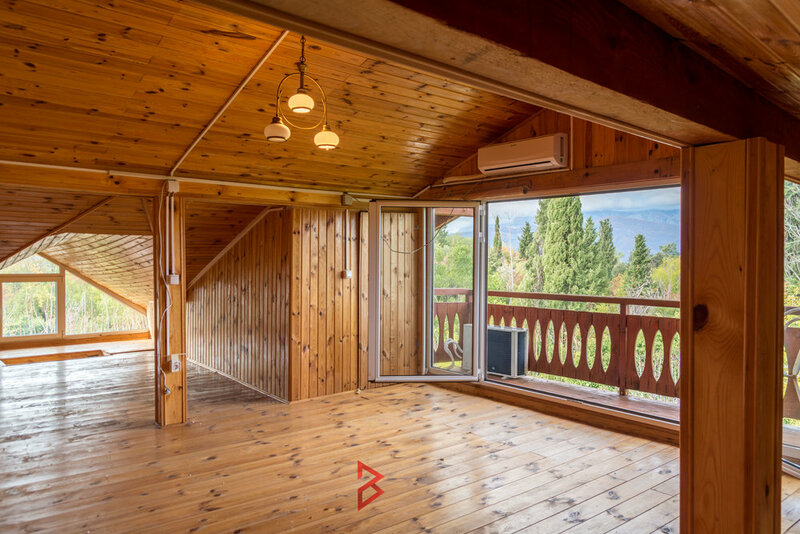 What will conquer your heart is the cosy attic that will easily become your favorite corner, where you will enjoy days and nights in refreshing summer breeze. On the attic level you can find a balcony with a wide panoramic Bay of Kotor view in which you will fall in love every day, all over again.